Air Canada and Air Transat have brought home 300 Canadian tourists vacationing in Haiti when deadly protests overtook the country, ending several day of nerves and uncertainty of how or when they would return home. A TS flight carrying 150 passengers, including 113 Quebec tourists who had booked a holiday at the Royal Decameron Indigo Beach Resort & Spa in Haiti through the airline, landed at YUL on 16FEB. 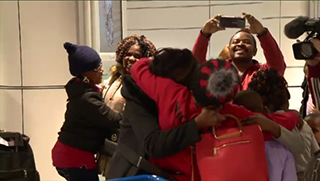 The flight also carried pax with a ticket for later travel dates, customers from another airline, and Canadian residents wishing to return home. Tourists were transported in rotations from Royal Decameron to PAP by helicopter, as the only highway connecting the resort to the airport is currently considered extremely dangerous. The evacuation was orchestrated by Transat, in collaboration with the local authorities, the Canadian Embassy in Haiti and the Canadian government. Yesterday, an Air Canada flight from PAP touched down in YUL with 209 customers onboard. In a statement on 16FEB, Air Transat said it will continue to operate its bi-weekly flights to and from PAP. Air Canada, which also operates bi-weekly flights to Haiti, has cancelled its next scheduled flight to PAP and says it is monitoring this situation closely to determine when it will be safe to resume flights. Thousands of Haitians are protesting to demand the country’s president, Jovenel Moise, resign in the wake of a corruption scandal where almost $4 billion that was supposed to be devoted to social development has gone missing. At least four people have died following clashes with police since the violent protests started 7FEB, and 78 prisoners escaped from jail while police were diverted to deal with protests. The Government of Canada has closed its embassy in Haiti and issued an advisory to avoid all travel to the country due to the civil unrest.